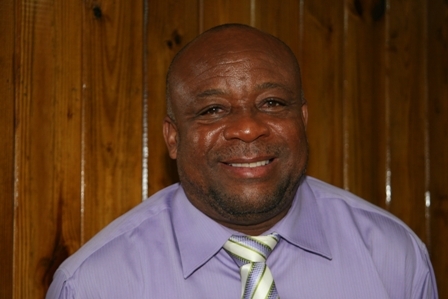 CHARLESTOWN NEVIS (January 08, 2010) — Minister of Health and Community Development on Nevis Hon. 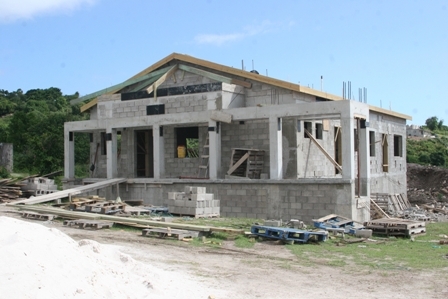 Hensley Daniel described the ultra modern health centre under construction in Brown Hill, as a gift from the Ministry of Health. The Minister’s comment came in an interview with the Department of Information during a site visit on Thursday. “I am happy to deliver this to the people of the community and as the constituency representative. This is an important aspect of our development. “As you know the health of the country is the wealth of the country and so any facility which seeks to promote and sustain good health is to be welcomed and we say to the people of Brown Hill this is your gift from us in the Ministry of Health,” he said. According to Mr. Daniel, construction work had progressed smoothly and the contractor had indicated that they were on queue to complete the project in a few months. When completed, the Centre will serve the residents of Brown Hill as well as the surrounding communities within the St. Johns Parish. The Health and Community Development Minister noted that the project was a necessary one which would replace the old adjacent health centre. He also explained the urgent need for the new facility. “On coming to office I was stunned by the dilapidated nature of the building that housed the health centre, termites were falling from the roof and it was absolutely deplorable and I took the view then that we should close the health centre immediately and relocate to somewhere else. “That took some doing and we made do with it but I could not expect the people of Brown Hill and the surrounding communities to be satisfied with that level of service,” he said. Mr. Daniel further explained that the size of the old facility hindered the number of services that were offered to the residents. However, the new facility would offer a wider range for the young, not so young and the old. “We will be able to improve the services both from the point of view of quality and we would also be able to extend the services to add new services because you have a facility which makes provisions for those things,” he said. Provisions have also been made for doctor’s offices, a pharmacy, audio visual and education rooms. Mr. Daniel said the new health centre when completed will be used to take health care to a new level in which prevention could be the main focus.